On Wednesday, the Russo bros are hosting a special screening of Infinity War (open only to a lucky chosen few) which will be followed by an in-person Q&A session. And then Thursday is the anniversary of the release of IW's first trailer. Rumor mill is thinkin' that either the Q&A or the anniversary will be the prime moment to reveal the A4 trailer/title. The bad news is Daredevil has been cancelled. The good news is Marvel just released a trailer....for season 2 of Runaways. And thanks to a toy leak, we've learned that Jude Law actually isn't playing Mar-Vell after all; instead, he's playing Yon-Rogg. The same rumor predicting that trailer release today also predicted the first Avengers 4 trailer for Wednesday, so let's see if that pans out. In other news, another Disney+ MCU miniseries has been confirmed, this time Vision and the Scarlet Witch. Also, apparently the first Far From Home trailer is tomorrow. Meanwhile, that feeling when the showrunner for New Warriors gets drunk & semi-accidentally reveals the show is still gonna happen in 2019. Furthermore, we are just a week & a half away from Runaways S2. Then we're just another week & a half away from the new year. Season 2 of Runaways drops tomorrow! We also have rumors that season 2 of The Punisher is coming in January, but nothing official yet. Then it's another drought until Captain Marvel in March. 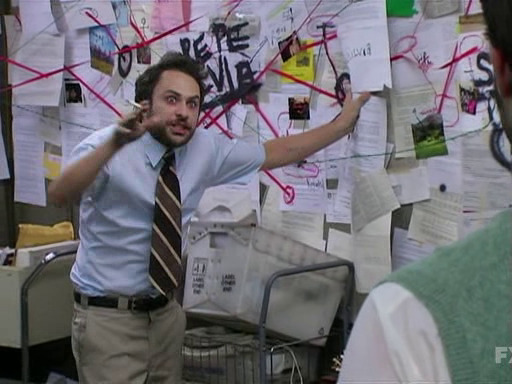 I'm 4 episodes into Runaways S2, & it's already significantly improved over S1. And there's no time skip either, so the chronology will be a piece of cake. Meanwhile, Feige confirms what I've suspected all along, that he's already ready to start working with the X-Men & FF properties, but what's more, he expects to be able to begin a few months sooner than had been previously theorized, because it looks like the Fox buyout might be approved early. Did I say "significantly improved"? Strike that, I meant "marginally improved" now that I've gotten into the 2nd half of the season. Dear lord, this show cannot figure out its pacing for crap, & they've done Xavin dirty. Anyway, The Punisher season 2 comes out January 18th, & Jigsaw is back. Should be good. Probably will be cancelled afterwards. Gonna enjoy it anyway. Cool new Captain Marvel trailer, alongside a batch of funky 90s-style posters. With the new year beginning, they're really cranking up the marketing. We've got a full trailer for Punisher S2. Some of the press embargoes for Captain Marvel & Endgame are ending, so expect more news there soon. Feige just did a red-carpet interview at the Golden Globes (where Black Panther was nominated for Best Drama Film) where he confirmed GotG v3 will still happen, as well as that almost all of the footage in Endgame trailers will be from the first 15-20 minutes of the film. Also, over in Disney+ land, Jac Scaeffer, the screenwriter for Captain Marvel & Black Widow, has been named showrunner for Vision & the Scarlet Witch, a showrunner has been named for the unnamed Falcon & Bucky miniseries, & a Lady Sif miniseries is reportedly in development. Oh, & here's your first trailer for Spider-Man: Far From Home. Doesn't spoil anything about Endgame (except that Spidey & Fury are in it). Black Widow might be R-rated. This would be Marvel Studios' first R, & it would also be quite the gamble for the big blockbuster May 2020 slot, since this will almost certainly be the next film they complete. Marvel Studios is also supposedly considering X-Men shows for Disney+, but this can't possibly have concrete evidence behind it yet, 'cause they legally can't start developing anything with the Fox properties until the merger finishes. There's also wind of a Young Avengers film, which would be pretty cool. It's January. The season starts in July. I don't think I can recall a TV trailer being this early before. In other news, Black Panther is returning to theaters for a week of free showings to celebrate Black History Month....&, ya know, to build Oscar hype; it's got 7 nominations. Captain Marvel TV spot, playing up her Air Force connection, as well as a fight scene. Carol arrives in less than 5 weeks. Also, the Far From Home trailer is playing in showings of Glass. Black Widow is scheduled to begin filming in March. Cloak & Dagger S2 has a confirmed premiere date of April 4th. 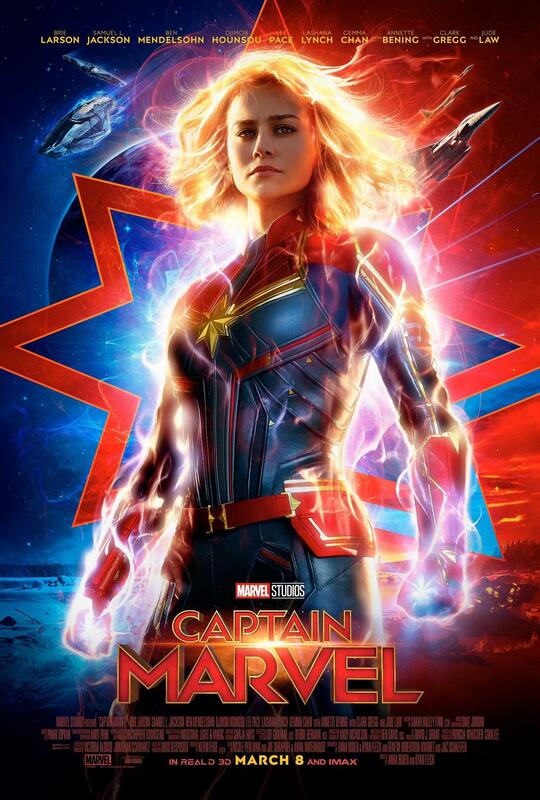 I feel like we should be more pumped about Captain Marvel since she's the first MCU female superhero movie. But like. I think we're all pretty tired of the MCU at this point to really think about it. I think Captain Marvel should have been introduced way earlier, since Captain Marvel is such an important character. I'm not tired of the MCU, & I am pumped for the movie. Oh, I'm pumped too. I love me some Captain Marvel. But my friends the other night were telling me how they didn't really care at this point. A very different new Captain Marvel trailer out today, along with the film's official website, which looks Geocities-tastic.